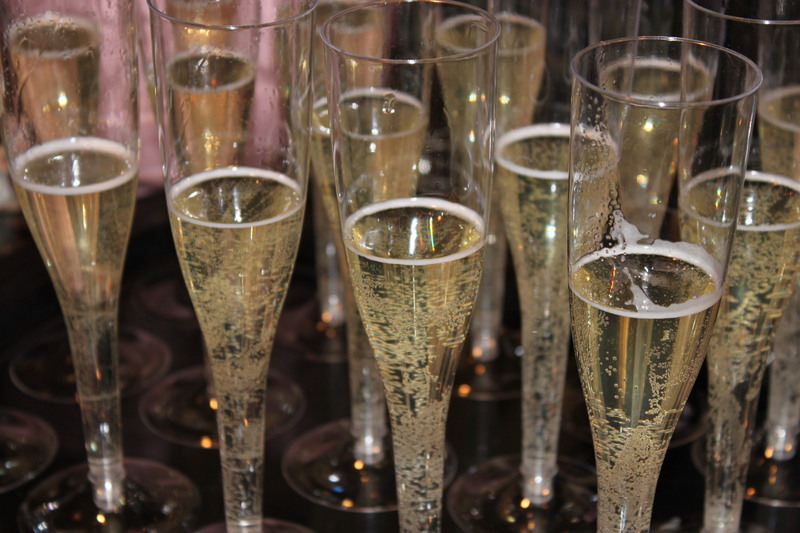 SOLID CHAMPAGNE! This is the one of the cutest ideas I have come across – and it was a hit for New Year’s Eve in our new house! 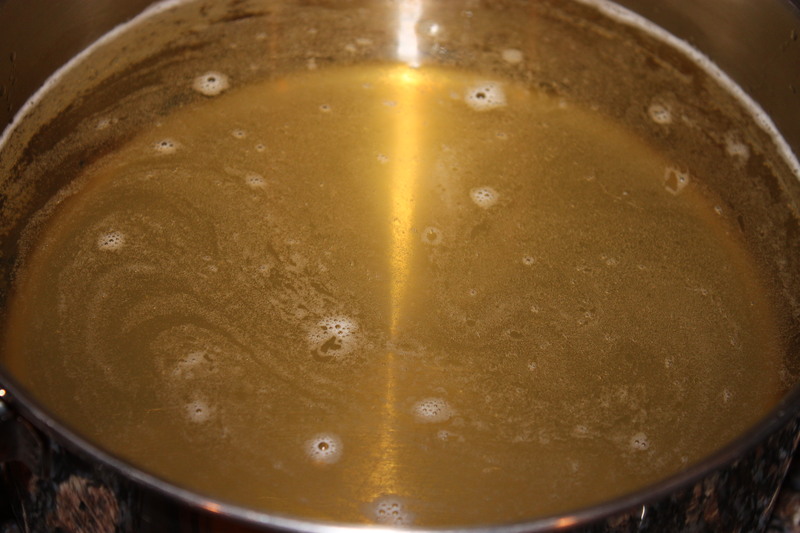 First, sprinkle 3 tablespoons of unflavored gelatin over 2 cups of cold white grape juice in a saucepan. Slowly heat over low heat until the gelatin has melted, and add 2 tablespoons of sugar. 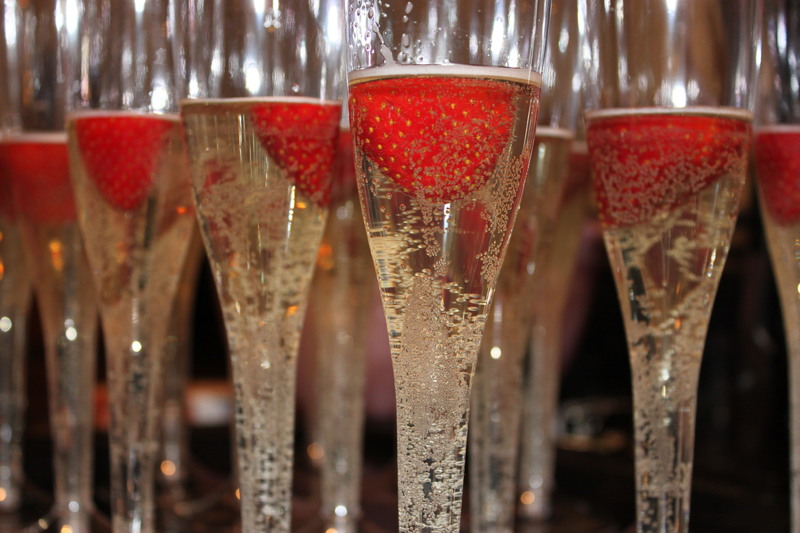 Remove from the heat and cool to room temperature – then add two cups of champagne, and add roughly 1/3 cup to each champagne flute (15 flutes for me). This should leave about half of the mixture. 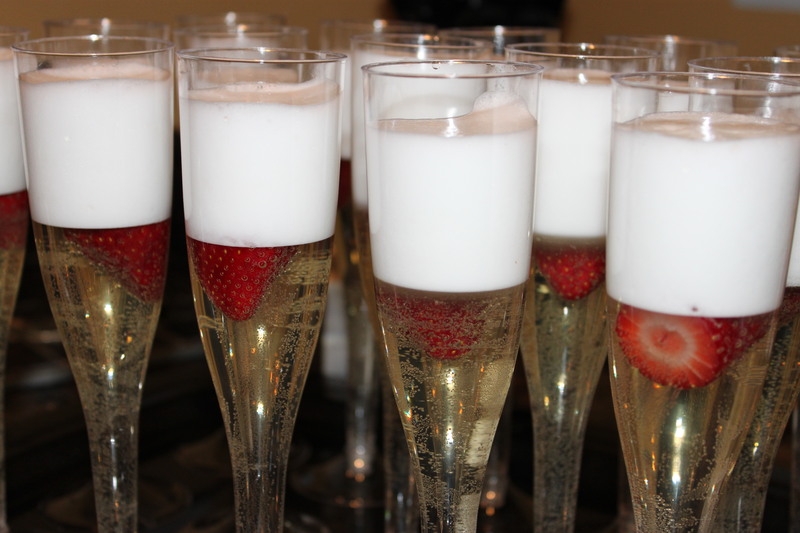 Float one hulled strawberry to each flute and chill for one hour. 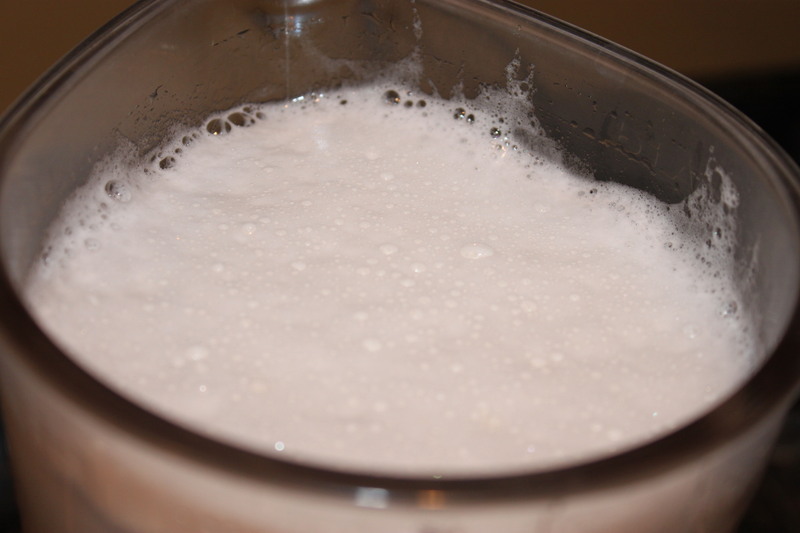 After the one hour, blend the remaining mixture in a blender until it is frothy. 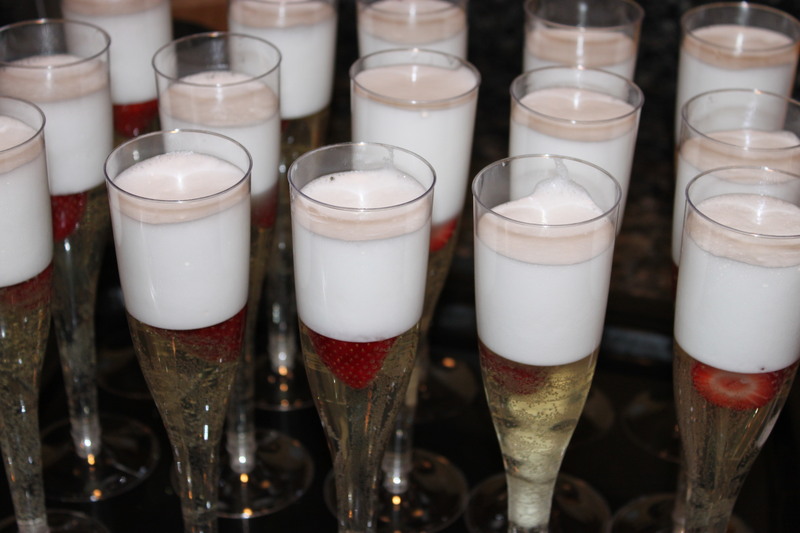 Top each glass with the remaining froth – about another 1/3 cup for each flute. Chill for another 3 hours at least, and serve with a spoon… how great is this? Super Uber CUTE!!! Definitely going to be trying this for an adult dessert for me and my boyfriend on his birthday. This would be the perfect topping to end a romantic evening… I just have to figure out the proper measurements to make it for two. Thanks for the idea!